Just received this 5 Couleurs Eyeshadow palette - Frost Bloom 334. Love the iridescent shades even it appear quite intense in tone but they're transparent upon application. Giving the eyes just the right touch of colors that make you look soft & I should say quite sweet. 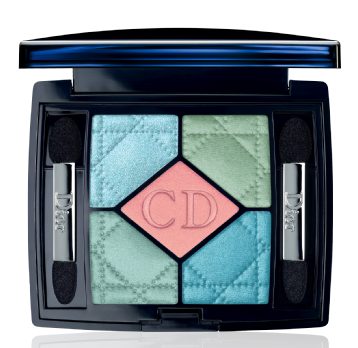 Everything you need to beautifully enhance the fresh appearance of the eyes. Loved your works! Appreciate if you could post some tips on applying mint green eyeshadow.